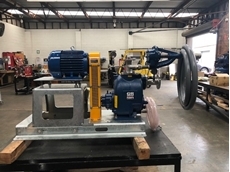 A self priming wastewater pump from Gorman-Rupp is helping a leading sheep and lamb processing facility near Sydney maintain their reputation for quality. 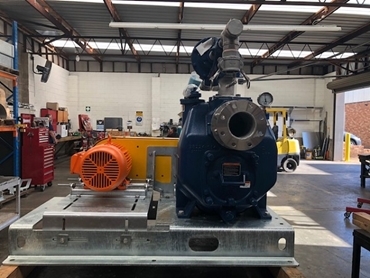 A New South Wales Council recently acquired a Gorman-Rupp T3C60SC-B pump for unloading wastewater tankers. 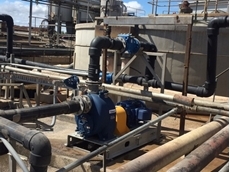 A major snack manufacturer based in NSW recently installed a Gorman-Rupp self-priming pump to service one of their wastewater pits. Gorman-Rupp self-priming wastewater pumps were recently installed for an NSW fruit juice manufacturer to enhance safety for their operators. By mounting the Gorman-Rupp self-priming wastewater pumps above the wastewater pit and not in it, the company was able to eliminate the risk of their operators ‘working over water’, ‘working at heights’, ‘working with heavy swinging weights’ or ‘working with cranes’ while monitoring and maintaining their asset. 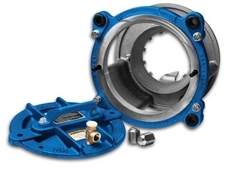 Gorman-Rupp’s most advanced Ultra V Series pump model V3B60-B met the needs of this application by delivering flows to 35 L/s, passing a 76mm spherical solid (as big as a cricket ball), and featuring a self-cleaning wear plate to minimise blockages caused by stringy materials such as rags and wipes. 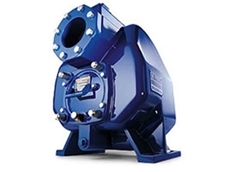 The Ultra V Series has the most advanced safety and maintenance features of any pump type for this kind of application, making it a good choice for asset owners seeking to control operational costs. With this style of pump, spending on ‘rated’ lifting chains, anchorage devices, descent/rescue equipment, connectors, body harnesses etc., can be minimised along with costs associated with crane hire or purchase. This type of asset can potentially limit safety incidents and positively influence insurance premiums. 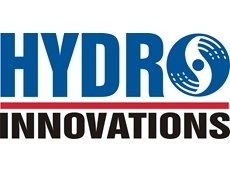 Gorman-Rupp self-priming sewage pumps are available from Hydro Innovations .